Throughout 2012 manufacturers of wind turbines had been scaling back production and employment. According to an article in the New York Times, one manufacturer laid off 92 of its 115 workers by the time it completed its final order. Orders for new wind turbines ceased in 2012 as the Production Tax Credit (PTC) for Wind Power was held hostage to election-year politics. Without the PTC, wind power simply cannot compete financially with other forms of energy. The fiscal cliff deal that passed Congress earlier this month included a provision that would extend the PTC for another year. The American Wind Energy Association quickly lauded the decision and estimates that it will save up to 37,000 jobs and rejuvenate work at 500 U.S. factories. 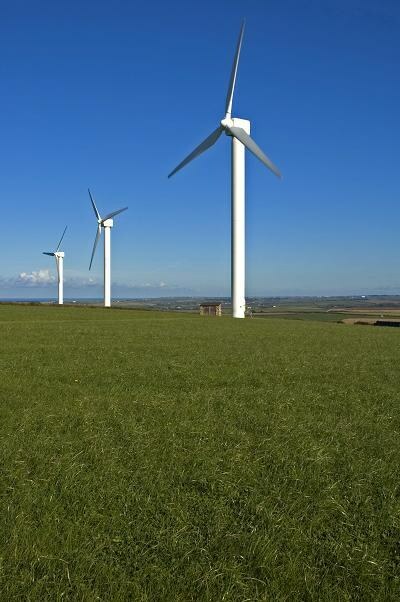 Tax credits for alternative "green" power sources have been around since the late 1970s. This particular credit began in 1992 as a part of the Energy Policy Act. It offered a credit of 1.5 cents per kilowatt-hour generated by renewable energy sources and it has since increased to 2.2 cents per kilowatt-hour. Since its adoption the credit has been allowed to expire 3 times, only to be renewed following a substantial drop in wind energy production. Each time the credit was allowed to expire, annual capacity additions fell off by at least 73% in the following year. 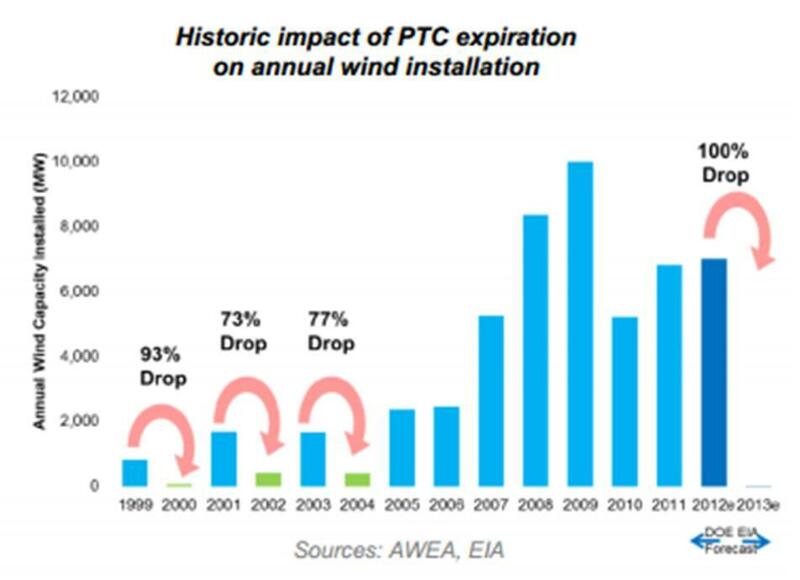 The illustration above represents how the production of wind energy has fared with and without the Production Tax Credit over the past 12 years.